We are a leading Manufacturer and Exporter of High tech Stenter Machine Chain. Quality Raw Material for Stenter Machine Chain for strong stretching and heavy fabric. Genuine Design of Chain suitable for Stenter Machines Artos, Harish, Yamuna, Dhall, and many more. We Are Also Manufacturer contact us with sample if special type. 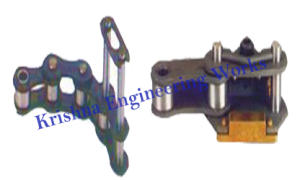 We manufacture & supply all types of Stenter Machine Chain Assembly. We are a renowned name in the industry involved in offering optimum quality of Machine Chain Set. we are engaged in Manufacturing, Exporting & Supplying of Stenter Chain Link Bottom Parts, Gear Box Parts, Pin Bars, Stenter Clips, Shaft, Overfeed, Chain Wheel, Pin Block, Radiators, Chain, Pin Plate since last 25 years. Manufacturer of monforts textile machinery, textile spare parts, artos stenter machine, stenter chain, monforts montex stenter machine, textile machinery spare parts. Heavy duty and International standards of textile parts manufacturer, bruckner stenter machine, bruckner textile machinery, textile stenter machine, textile machinery spares, artos stenter, textile spares, textile spare parts manufacturers, yamuna textile machinery, harish textile machinery, textile machinery parts.